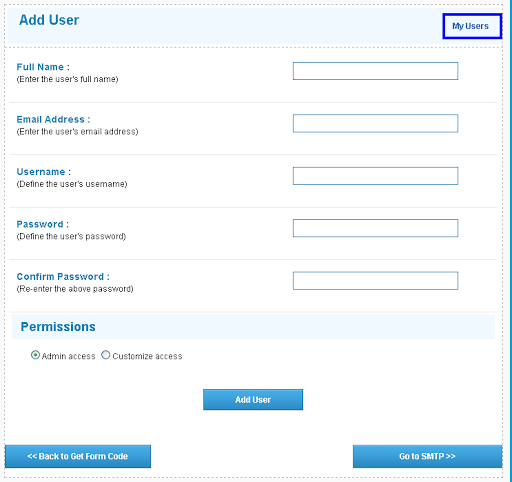 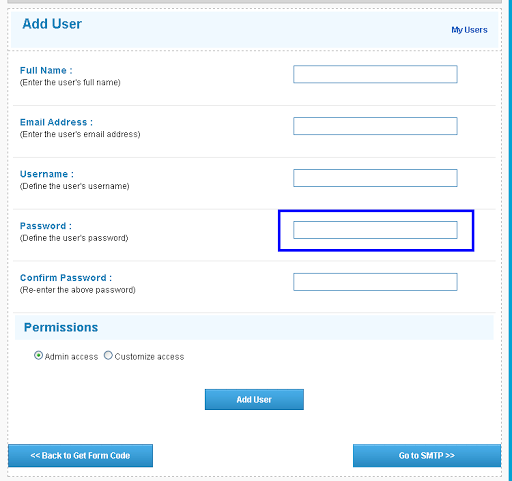 Click on Users to create users for your account. 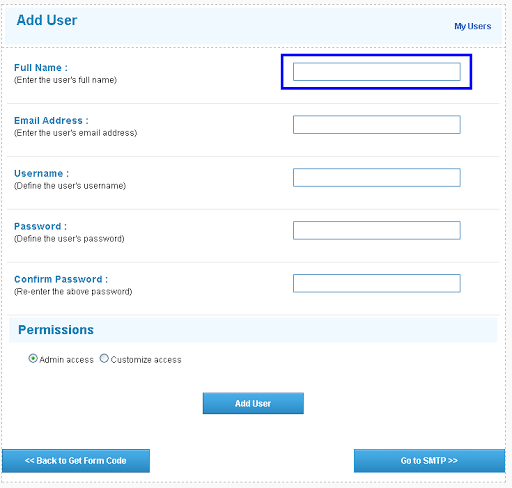 Give Full Name of the User. 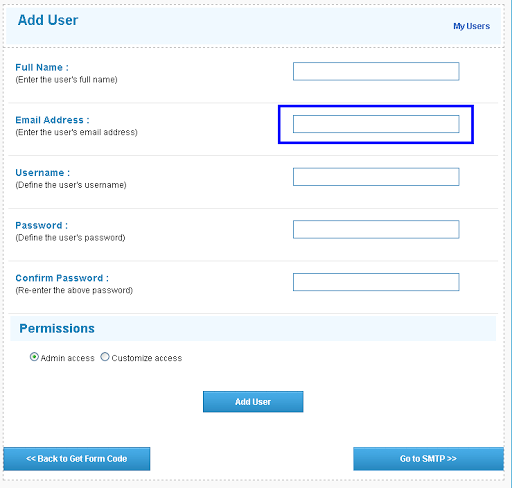 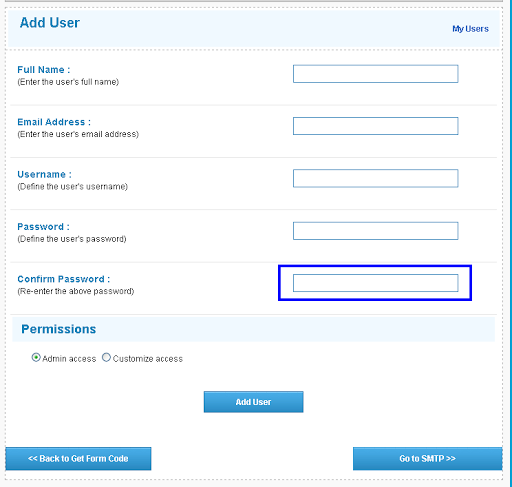 Give Email Address of the user. 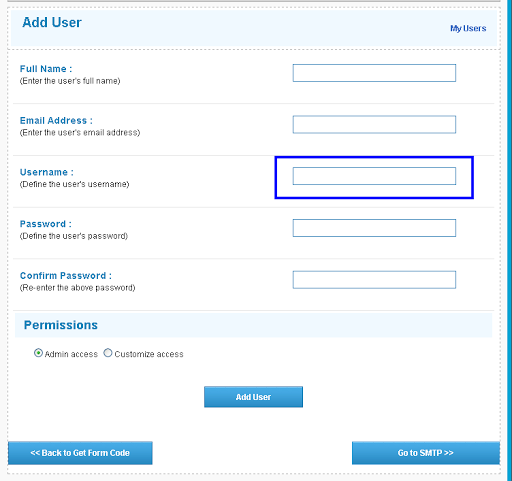 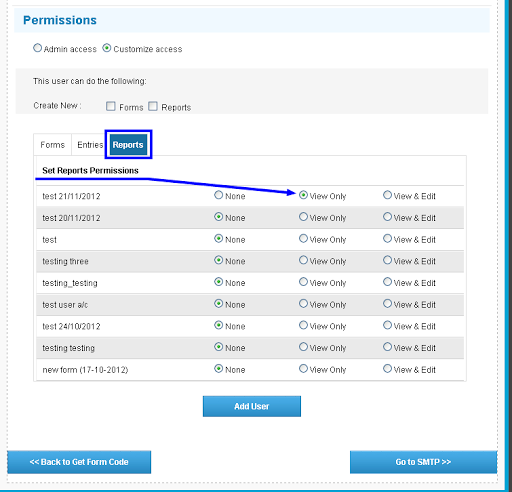 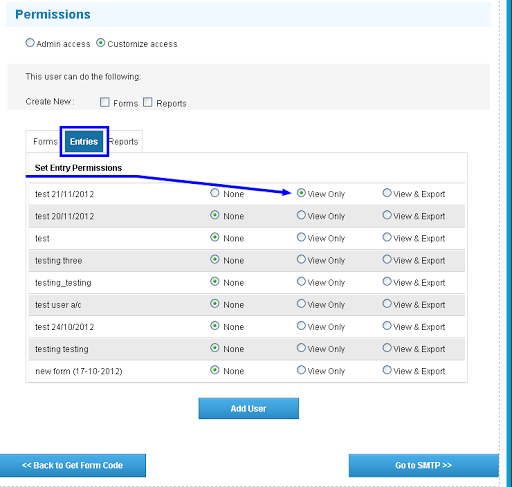 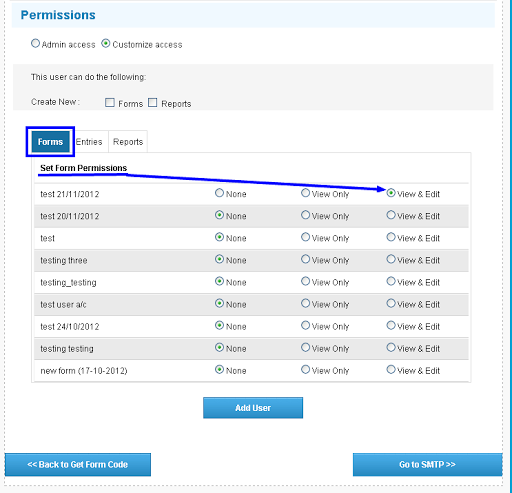 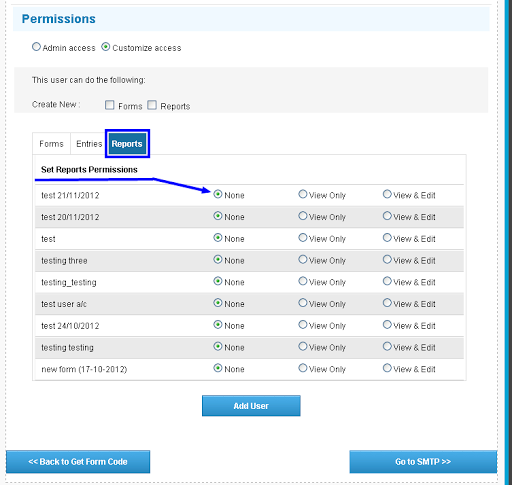 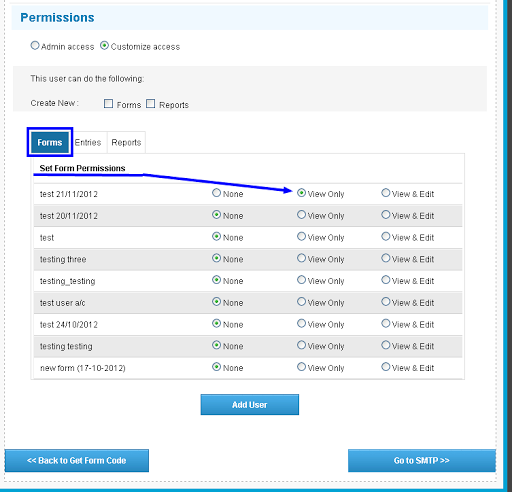 Give Permission to Create New Forms and Reports to the User. 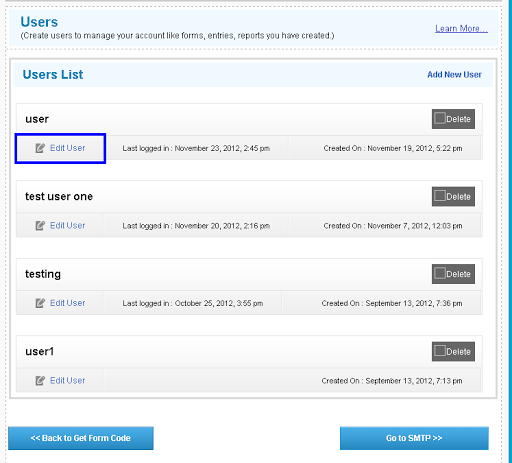 Give Form "View & Edit" option to the user. 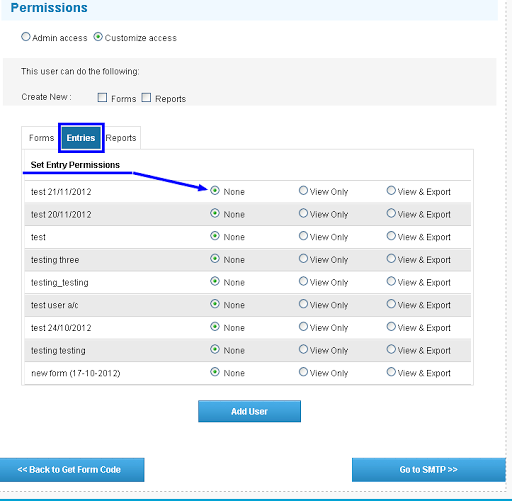 Give Entry "View & Export" option to the user. 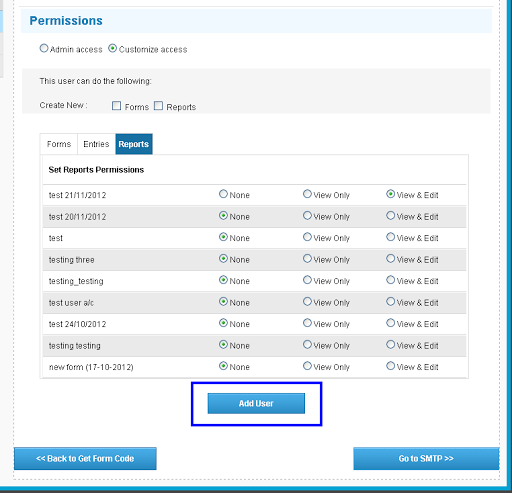 Give Reports "none" option to the user. 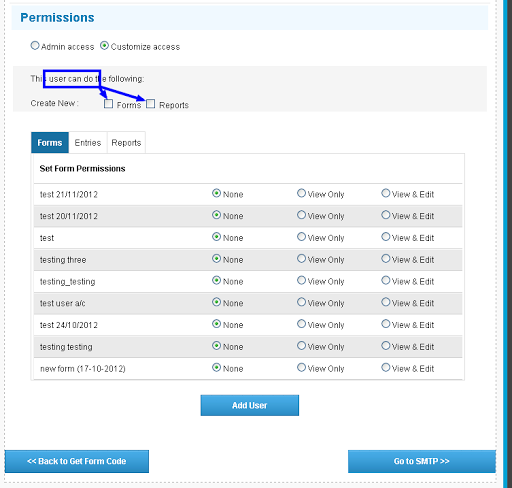 Give Reports View only option to the user. 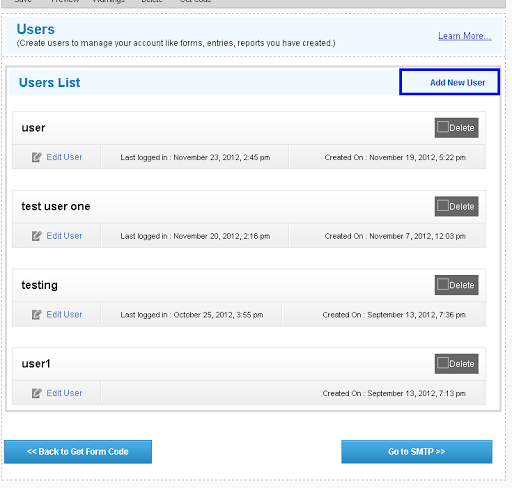 Give Reports "View & Edit" option to the user. 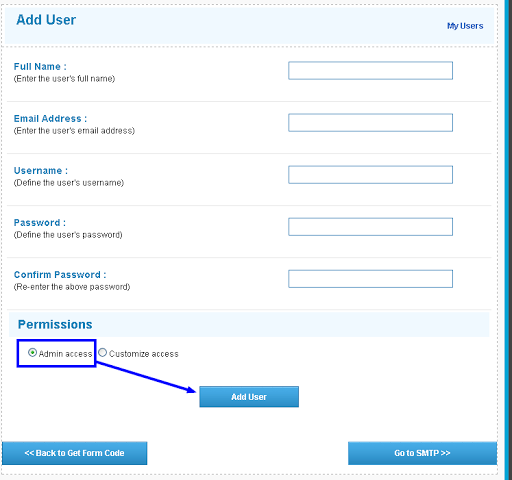 Click on the Add User to create the user. 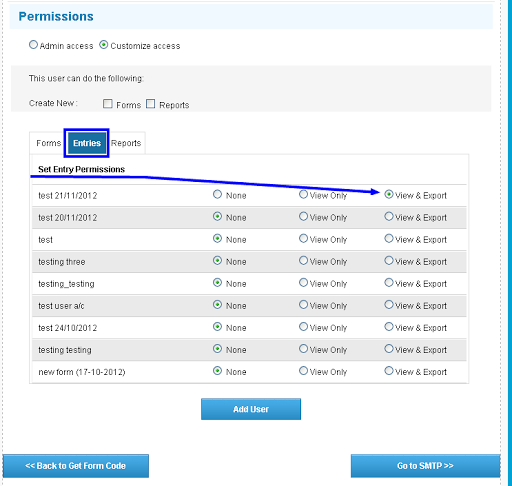 Click on "Edit User" to edit the user info and permissions.